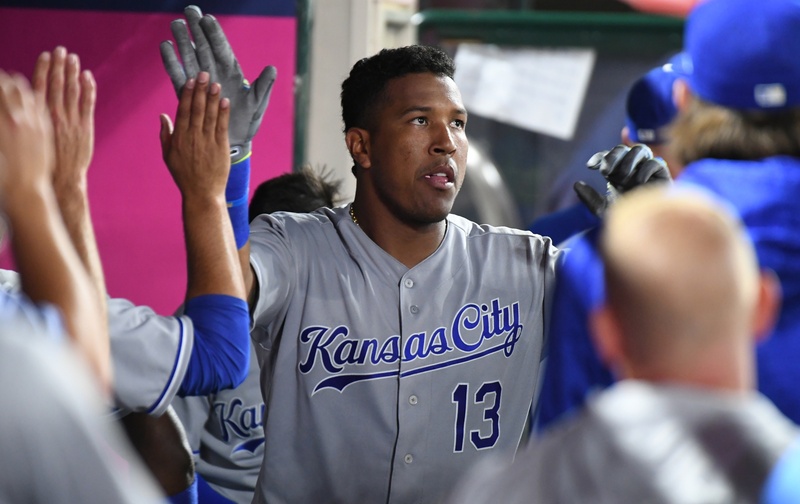 The thing about the return from the All-Star break for a team as woebegone as the 2018 Kansas City Royals is that it’s kind of like hitting a hard reset on the season. 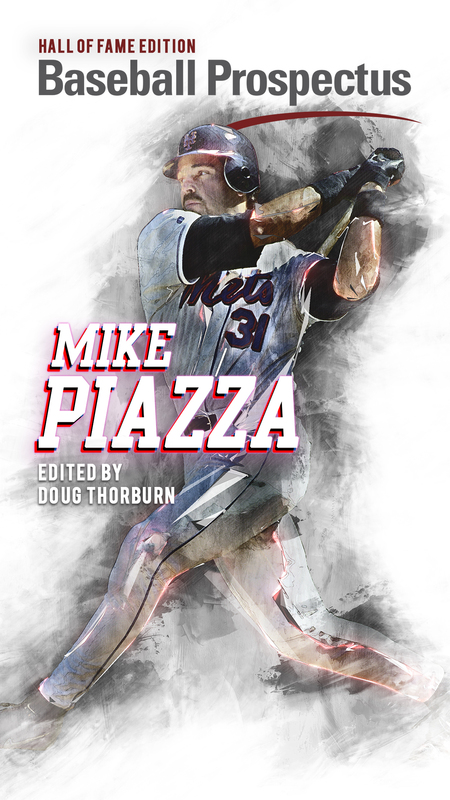 Unlike teams that are now fighting for a postseason berth, nothing that happened in the first half matters—everybody on the roster has a chance at a fresh start and the opportunity to show off and prove to either management (for 2019) or a contender (for the stretch run) that you would like to continue to be paid to play baseball. The Royals won 6-5. That is not a typo, and it wasn’t even all that fluky. They played better than the Minnesota Twins for the entirety of the contest eight innings. I cannot recall the last time a game ended and I thought, “That was a quality win that Kansas City deserved,” which is either an indication of how bad this season has been or how low my expectations have become or both. The Royals opened the second half with a two-spot in the first inning, thanks to Lucas Duda (who you can read more about in my piece earlier today, titled “I am Nostradamus and You Will Bow to Me”); he blooped a blooper down the line in left which eluded the outstretched glove of third baseman Eduardo Escobar to score Whit Merrifield (leadoff single) and Jorge Bonifacio (walk). That was enough to get Danny Duffy going, and he built off a solid final pre-All Star start with a gem Friday night. He wasn’t throwing darts and putting up zeroes; it was a workmanlike performance. A guy would get on, Duffy would strand him. In the fourth, he loaded the bases with no outs after sandwiching walks to Escobar and Mitch Garver around a Robbie Grossman single—Max Kepler hit a sac fly, Jorge Polanco flied out and Bobby Wilson popped out. 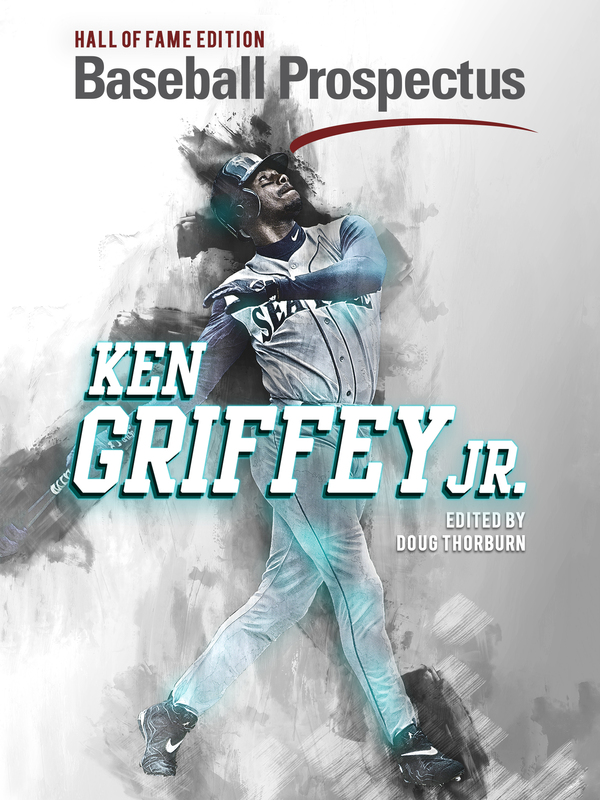 Duffy got some luck—Kepler just got under a belt-high fastball—but he also made his own luck, pounding the zone and forcing Minnesota to put swings on the ball. It was 2-1 after Kepler got a run back for the Twins, but Duda led off the home half of the fourth with a single and scored on a Hunter Dozier gapper to give the Royals some insurance. Dozier was stranded after three straight flyouts, including a Rosell Herrera liner that missed being his first career home run by about three feet. In the sixth, Duda (who is EXTREMELY AVAILABLE) slammed a no-doubter over the wall in right, his season’s eighth. An inning later, Salvador Perez plated Alcides Escobar (leadoff single) and Mike Moustakas (two-out walk) with a gapper. By this point, Duffy’s race had been run. He went seven innings, tying his season-high with 114 pitches, striking out four and scattering five hits. His ERA is down to 4.40. The fastball had zip, consistently sitting mid-90s. Something dreadful is going to happen to him, I’m sure of it. In the eighth, Jason Hammel served up a double to Escobar (kind of, it was a dribbler against the shift) and a triple to Garver to plate a run. No big deal. The ninth was a different story. Wily Peralta came on and, bless him, either couldn’t find the plate or couldn’t miss a bat when he did. Jorge Polanco led off with a double. Jake Cave, pinch-hitting for Wilson, bled a walk. Professional Hitterman Joe Mauer laced a single. Suddenly the situation was serious. Eddie Rosario grounded out—slowly, too slowly for Whit Merrifield and Alcides Escobar to make a quick double-play turn. That scored Polanco. 6-3 game. Brian Dozier dug in, worked the count full and then dribbled one to Moustakas. Cave scored. 6-4. Peralta gassed. Brandon Maurer up in the bullpen. Ned Yost gave Peralta the chance against Escobar. Suddenly, we had been thrust into theatre worthy of Shakespeare. Peralta missed twice—both low—before getting Escobar to chase a curve in the dirt and foul off a slider. The two-two two-seamer hit the dirt, and the payoff pitch missed the inside corner by fractions of a millimeter. Escobar walked. Yost was out of the dugout to relieve Peralta moments later. Suddenly, all those thoughts I had earlier about outplaying the Twins and being the better team and such were replaced with knowing, deep down, that Brandon Maurer was all that stood between the Royals and coughing up a five-run lead. The one-hop rocket that Esky knocked down at short off the bat of Grossman—if he hadn’t, it might’ve killed him—did not assuage those fears. Nor did Maurer running the count full to Garver. Nor did Maurer walking Garver to score Rosario. 6-5. And then Kepler popped up to Gordon. As Uncle Huddy said, had ‘em all the way. The Bright Spot: Duffy, who did everything he had to and more. The Nadir: The bullpen, which… didn’t. The Next Step: First things first, I’m joining Flanny and downing a cocktail after that one. 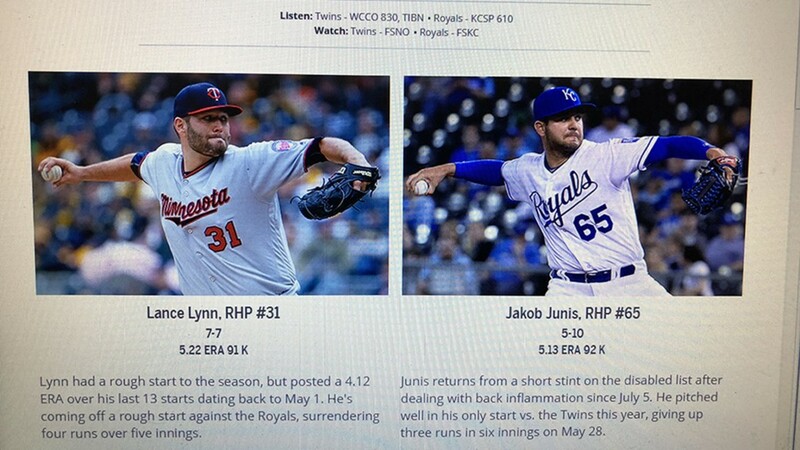 Tomorrow night’s 6:15 p.m. (CT) start in KC pits Jakob Junis and Lance Lynn against one another; the MLB.com gameday side-by-side previews of the two make them look eerily similar. You be the judge.